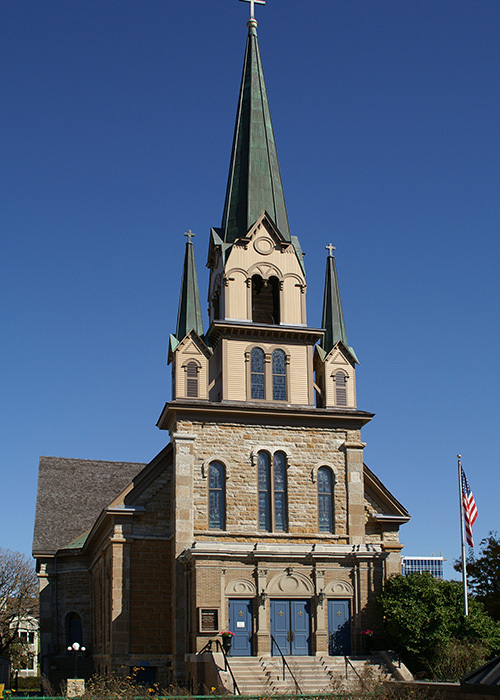 Work on Our Lady of Lourdes church began in 2005 with an investigation of existing conditions.The oldest continuously used church in Minneapolis, the original neoclassical-style building was constructed in 1857 and converted to a French Gothic Revival structure in 1877. Over a period of six years, renovations and repairs to meet the needs of daily use by parishioners have been performed within the context of preserving the building’s historic character and integrity. 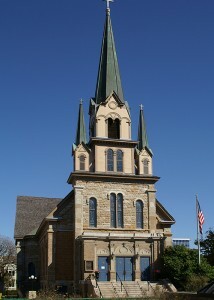 Improvements involved infrastructure upgrades, such as new boilers and sewer/stormwater separation; exterior rehabilitation of the roof, stonework, windows, and doors; stabilization of the bell tower; accessibility upgrades; and interior renovation, including restoration of the sanctuary, relocation of the altar, and a new commercial kitchen. One of of the church’s finest features, the Platteville limestone exterior walls, was also one of the project’s big challenges, resulting in more complicated repair details than usual and an ongoing movement monitoring program.